Just regular folks. : Zootopia, DMV, one-acts. A few weeks ago, we found ourselves done with an early dinner on Saturday night and all looked at each other and decided that maybe we could see a whole movie together. This rarely happens as we all have our own things we like to watch (and this is what we make fun of each other for watching): Jeremy: biking videos, Doris: ASMR videos, Vince: will it burrito? videos, Edda: Finding Nemo. We settled on Zootopia (which is a fantastic movie btw) and there is a famous DMV scene where the fast bunny protagonist runs into a groups of sloths running the place. 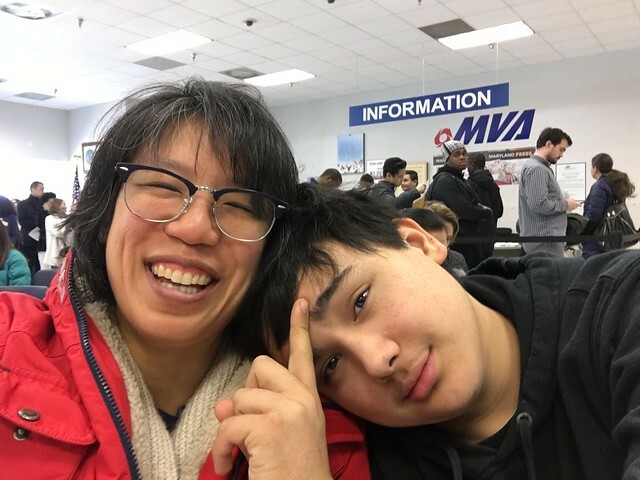 Yesterday, we lived that experience at our local DMV to get Vince his learner's permit. I had made an appointment online for 1:30 pm, but that did not seem to matter much as no one referenced any appointment time and we waited in line just like everyone else. We got to the express branch about 15 minutes early and immediately found the line so long that it pressed against the door and we kept needing to scoot out of the way to let people in and out. I reminded Vince about Zootopia and he was like - yeah, but I didn't think it was really going to be this bad. He had made the poor DMV virgin move of not having a fully charged phone and no battery backup. He asked if we could sit down at least because about half the people in the room were standing in our line and half the people were sitting down. I said that we had to stand in this line first to get a number and then we get to sit in line with the other people. 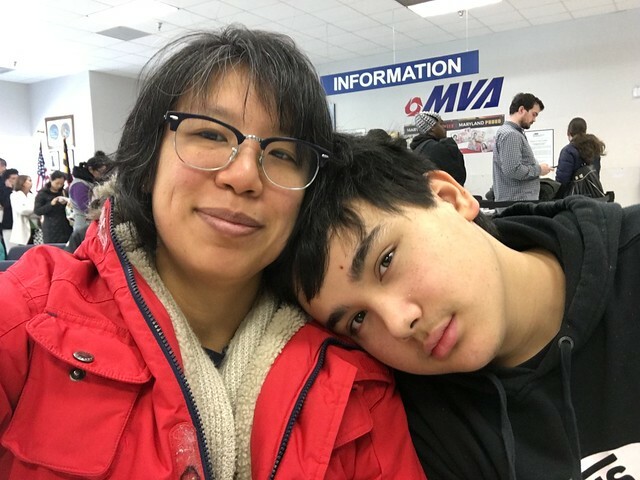 All week I had kind of gently tried to get him to practice taking the test & reading the booklet (to no avail) - not because I super care about him passing or not passing - but mainly because I would hate blowing another afternoon at the DMV if he didn't pass. But pass he did! It only took us 2.5 hours. Besides the frustration of waiting, I love the people watching at DMV because I feel like it's as good of a cross section of the community as you can get sitting in a random room for a couple of hours. You've got all ethnic groups, all socio-economic groups and all age groups from babies hanging with their moms, to people like me with their teenagers, to old grandmas with walkers hanging out with their adult kids. And we are all suffering the same suffer. On the way home, Vince asked if he could start driving and I said that I needed to figure out about adding him to our insurance. He asked how much it was and how much it was going to cost to insure him and I said that I'm anticipating that it'll double our insurance. He groaned and said - argh! I'm going to have to be an adult so soon! Like I'm going to have to get insurance and do all my own laundry and not spend all my money on random crap and not eat only Oreos for dinner. Here he is covering his zit so you don't notice it. 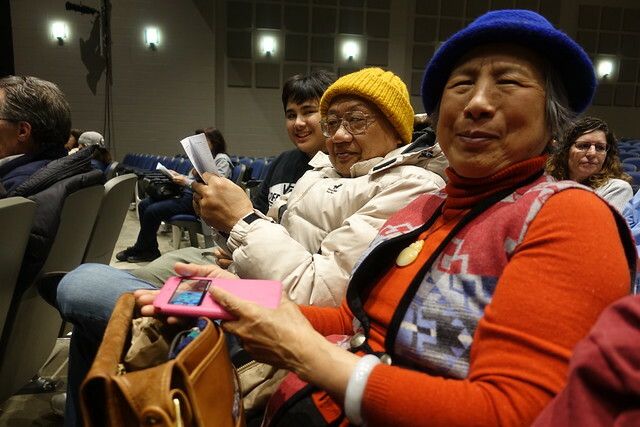 My parents are back from their trip to Morocco, and we took them to see Vince's one-act plays. Vince was on the lighting crew which was a little boring because there were so many kids signed up and not that many jobs. These one-acts are written and directed by students which means they can run a little angsty. For example, the first one was a musical about a young lesbian who has not recovered from the loss of her partner four years ago and who just got fired from her job. The second one was about a dysfunctional family where the father has been working so hard, he's not been home for more than 2 days in the past 25 years and his wife and daughters are berating him for abandoning them. Oooooof, it's hard watching marital/family fighting acted out by a bunch of 16-18 year olds. The kids did a great job even though the material was so serious. Luckily, they throw in one professionally written play - this year was the Importance of Being Earnest which was quite funny.